According to an internal Apple memo obtained by 9to5Mac, the original iPhone will soon become ‘obsolete’ in the eyes of the Cupertino company, with those looking for service or repairs at Apple Retail Stores or mail-in AppleCare Repair Centers unable to do so in most places. It is natural for an Apple product to become ‘vintage’ or ‘obsolete’ after five years, but there’s a certain significance, dare I say poignancy attached to this particular progression, for the device is about as iconic as anything Apple has ever released. 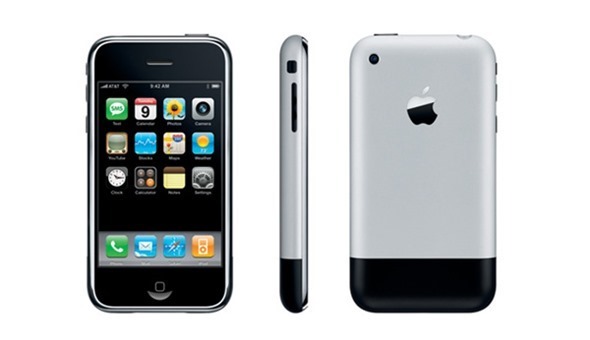 The iPod laid the foundations for the iPhone, for sure, but the way the Apple smartphone revolutionized the market was nothing short of remarkable. 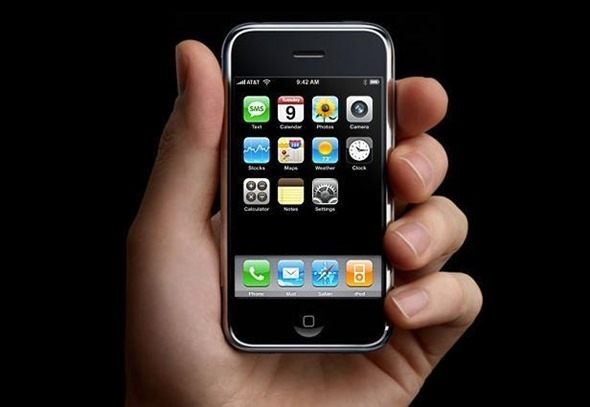 The original device went on sale all the way back in June of 2007, and was succeeded by the iPhone 3G some 13 months later. As of June 11th this year – one day into the WWDC week – the device that forged a new market for Apple will be considered obsolete, along with the mid-2007 iMacs, late 2006 model Xserve, and the very first Mac Pro. So, if you’re in ownership of any of the aforementioned and have been considering getting them repaired, it’s probably better you take them in sooner rather than later, by which time you may have to find an independent, third-party hardware repairs center. Those based in California, the same state in which the fruit company is based, do have a little more hope than most in terms of services otherwise discontinued. 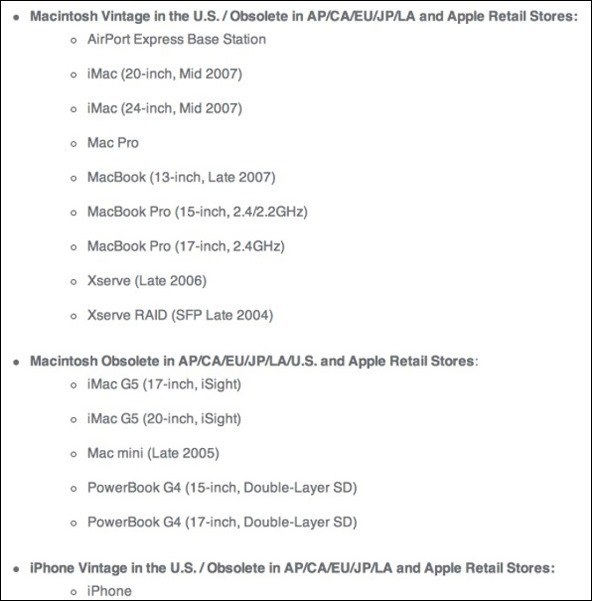 As stated on the Apple website, owners of vintage (between five and seven years old) Macintosh products "may obtain service and parts from Apple service providers." Moreover, those in ownership of vintage iPod devices within the CA state can also get it serviced by contacting AppleCare or visiting their local Apple Retail Store. Presumably, keeping services running within a close proximity of the company’s campuses is not too taxing on resources, and means that at least those users closest to home can enjoy continued services for at least another year or two. It’s worth pointing out that 7 years, all products – whether in California or otherwise – will become obsolete, and will not be repaired under any circumstances.